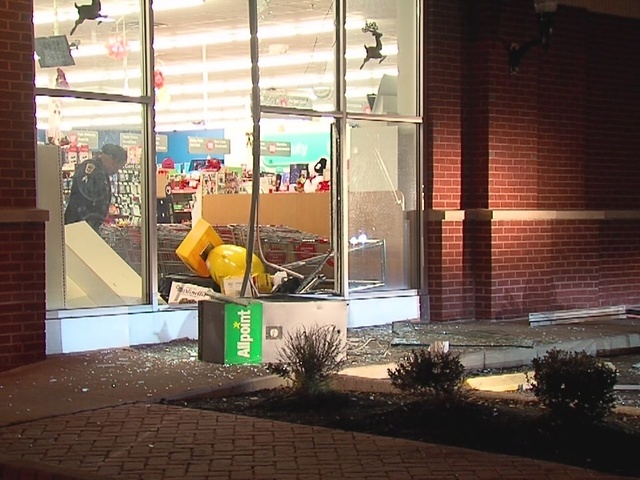 Theft suspects pulled an ATM from a CVS in Shaker Heights overnight during a smash and grab robbery. A vehicle rammed into the windows of the Chagrin Boulevard store around 3:30 a.m. Thursday and then someone grabbed the ATM. Police found the ATM lying in the parking lot but the money portion was gone. The robbers had already fled by the time officers arrived.